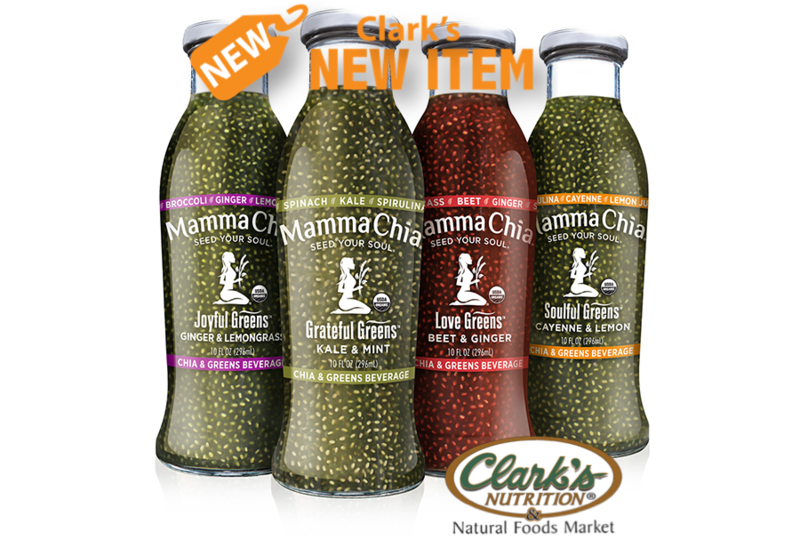 Introducing Mamma Chia's Organic Chia & Greens Beverages that combine the nutritional power house of Chia with healthy greens and veggies to provide a refreshing, on-the-go beverage. Simple, yet delicious ingredients come together to provide an entire day's worth of omega-3s, 7g of fiber, 4g of complete protein, 25% RDA of Vitamin A and 95mg of Calcium. These truly satisfying beverages are sure to power your soul's purpose and they are now available at a Clark's near you.